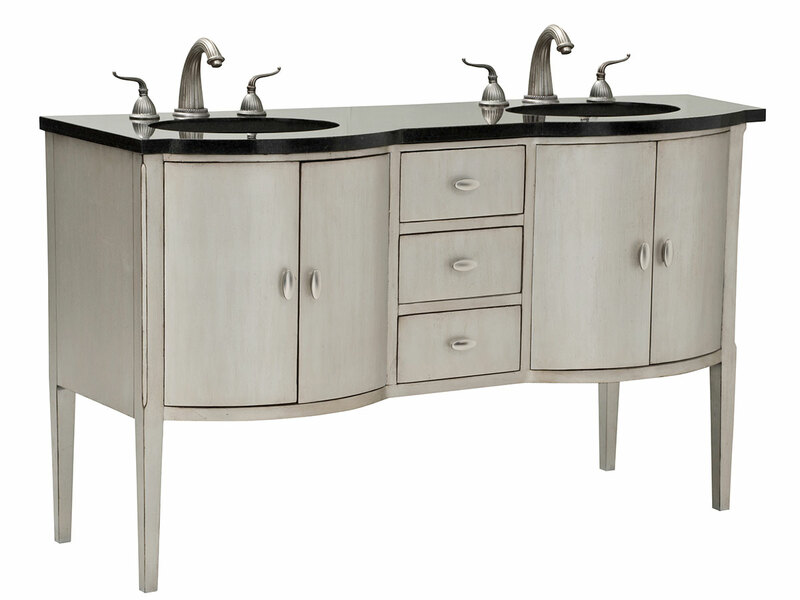 The 60" Sterling Bowfront Double Vanity creates a gorgeous focal point for your new modern bathroom. With a large double-door cabinet underneath each sink and 3 large drawers in the center, there's plenty of storage space for your bathroom necessities. The lovely shiny finish will make yo love the appeal it brings to your new bathroom. A sterling silver decks each cabinet door, while the beautiful black finished top offers a contrasting appeal to the entire vanity.